The Orchid Girls by Lesley Sanderson is the story of three friends, Grace, Charlotte and Molly. Fifteen years ago Charlotte had gone missing the Grace and Molly the last to see her alive and when she was found dead they were cleared of the crime burying the secrets of just what happened that day. Now Grace is on top of the world about to launch her new book with a husband and booming career. Molly however has struggled with the demons of the past and is a struggling alcoholic. With Grace in the media Molly finally tracks down her old friend looking to her for answers and comfort of what happened all those years ago. 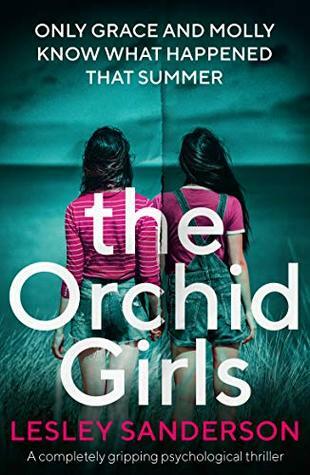 The Orchid Girls was a slow burning mystery/thriller read that is told by alternating the point of view between the characters. The story also has flashes back into the past and newspaper articles and journal entries to build what had happened that fateful day long ago. Now without saying too much I’d like to just mention I appreciate what the author was trying to do with the sign of the times angle of the book. However, to me this one was a pretty straight forward shot at an outcome. Perhaps it’s due to reading hundreds of books each year or others may feel the same but I felt this lacked the twist and turns of a true thrilling read to rate too high but with nice writing I do believe it was an Ok book overall. Nice honest review Carrie. I agree, the more we read, the higher our expectations.Glad it was a good read, just not with the twists you would expect from a thriller.